Eva has recently returned from her volunteering project in Tanzania with Raleigh and Save the Children. "Throughout the programme we taught over sixty entrepreneurs how to produce their own cash flows, analyse their strengths, weaknesses opportunities and threats, the importance of market research and facilitated idea generation. Included in the new businesses were textiles, clothe-making, animal feed and hair dressing". “Being given the opportunity to develop my leadership skills in an entirely different environment to what I’m used to has proven extremely valuable and has helped me develop as a person. 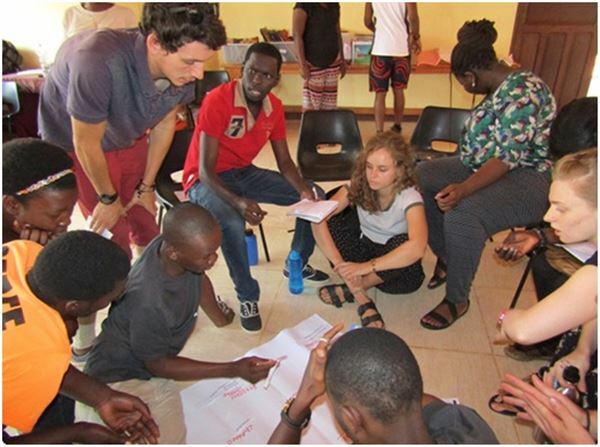 The experience has pushed me out of my comfort zone and I now feel much more confident in leading a multi-cultural group – something which I aspire to do in future work in international development and conflict resolution”. Congratulations Eva for your work on a fantastic volunteering project! !